A down payment can be the biggest challenge towards home ownership for many buyers. Did you know there are a variety of programs and resources which can help you towards getting a down payment? The more money you put down on a home the better, so let’s take a closer look at why and review some local and federal homeowner incentive programs which may facilitate getting your down payment. According to Nerd Wallet ‘With 20% down, lenders will love you more.’ A higher down payment can mean a lower monthly mortgage payment, shorter loan term, lower sales fees, and more equity, or ownership, in your home. According to Trulia.com the median home sales price in York County, Pennsylvania, is $153,250. A 20% down payment for a home at this price is $30,650. Your down payment may be more or less, depending upon various criteria pertinent to your specific situation. If saving for a down payment is a challenge for you, you’re not alone. Such a significant amount of money is difficult to set aside for many. To help more residents make the transition to home ownership, the York County Homebuyer Assistance Program was established. This program is geared to help first-time homebuyers with not only down payments but also closing costs, which can add up quickly for buyers. The YCHAP is income-driven, so be sure to review the site for details on who can qualify and how to apply. Through the Pennsylvania Housing Finance Agency (an arm of FHA), you can find insights and tools to help prepare for buying a home. There’s also information about different state down payment grants and loan programs currently available. 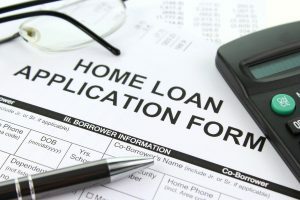 Two key programs worth checking out are the HOMEstead Downpayment & Closing Cost Assistance Loan and the Keystone Advantage Assistance Loan Program. Both are designed to help homebuyers either enhance their own down payment, assist with closing costs or both. You need not be a first-time homebuyer within these programs, but other qualifications do apply. Alternatively, HUD offers low down payments and flexible guidelines through FHA loans. These can be ideal for first-time homebuyers within the income qualifications, who have not been able to secure a sizable down payment but are otherwise ready to buy a home. There’s a non-profit, the National Homebuyers Fund, Inc., worth considering as well. This organization was started to help expand home ownership nationwide. Their Down Payment Assistance Program, DPA, is a grant which can help not only lower income families, but middle-income households too. In today’s digital world, there are creative tools available online for homebuyers such as equity sharing and other online funding sources. Check out this forbes.com article for a great list of different homebuyer and down payment online sources. When you have your down payment and are ready to purchase your home, you want the process to go smoothly. The Jim Powers Team of local experienced Realtors® is here to help you. Visit our website to learn more, then contact us or give us a call at 717- 417- 4111.